MoCafe gourmet blended ice frappe mixes are considered by many of the coffee industry�s top professionals to be their product of choice. MoCafe only uses select, exotic, ingredients for maximum flavor and yield, such as Trinidad Nib Roasted Cocoas, Tahitian Vanillas, African Forestero Cocoas, Colombian Coffees, and more to create some of the best tasting blended ice frappes found anywhere. Create an assorted case with four 3 lb. 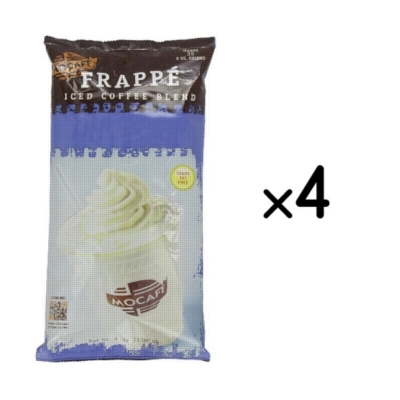 bulk bags from flavors like Arctica Frozen Hot Chocolate, Maui Mocha, Java Chip and Vanilla Bean.